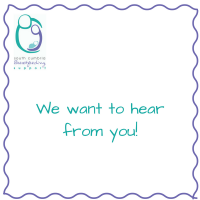 We’re conducting a survey, and would like to hear from any mum in the South Lakes area who has had a baby since October 1st last year. We’re gathering information about how people hear about the groups, and what impact they have on mums’ breastfeeding experience. We’re also keen to hear from people who did not come to a group. The survey takes less than 5 minutes to complete, so please follow the link below and fill it in! Newer Post Come and see our fundraising Christmas Tree! Older Post We’re in the newspaper!